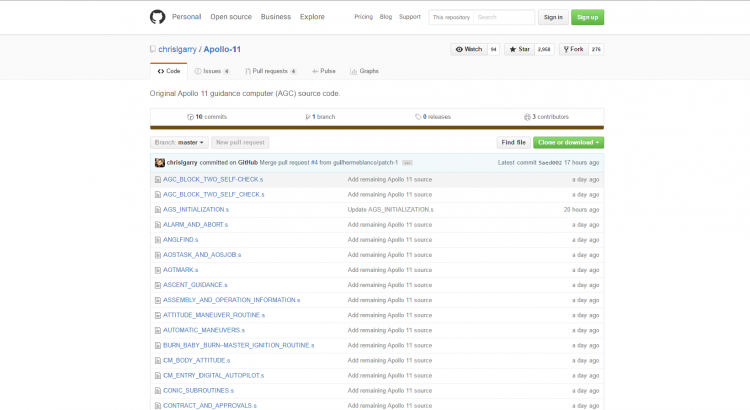 NASA released the original source code for Apollo 11 guidance computer (AGC) yesterday. 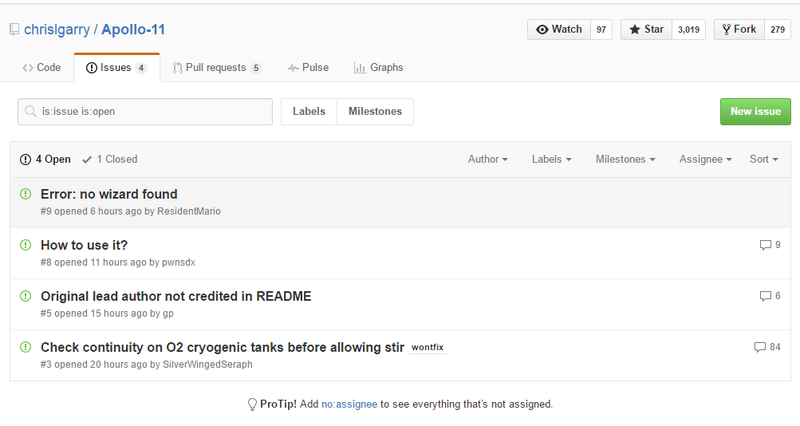 The code was released on GitHub, and few hours later someone reported the first “issue“. If a wiring fault exists, the issue may be replicated. Be aware that this may be hazardous to the tester attempting it. 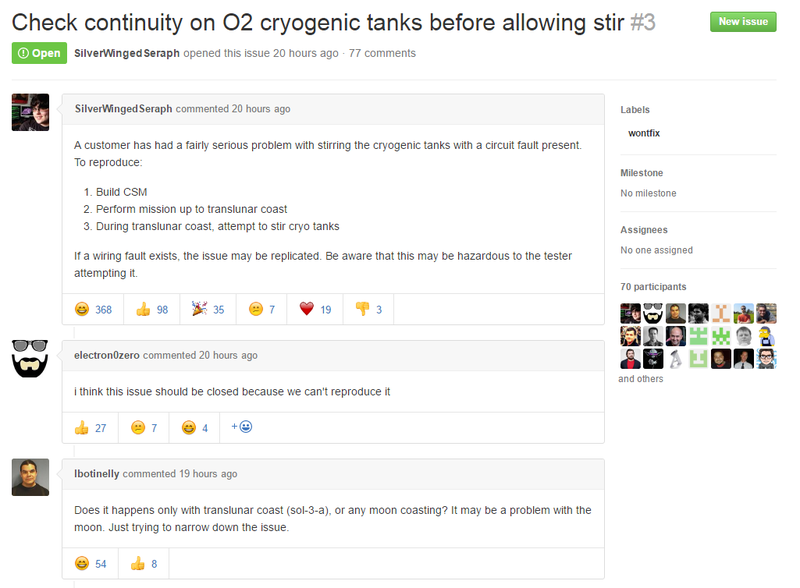 This is fixed in Apollo 14. The whole thread is really hilarious, I strongly suggest you visit the site and give it a read. Meanwhile, there’s also been few more “issues” reported (see image below), but the above mentioned one is the original, and the most fun.